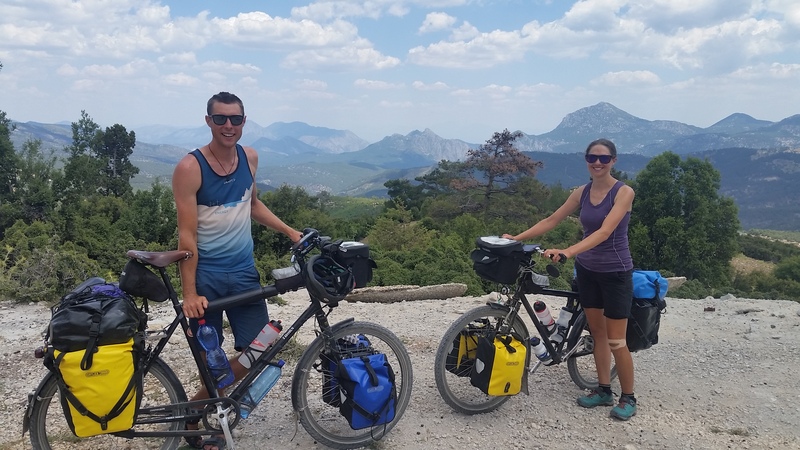 It’s only a few hours on the small ferry from Rhodes to Fethiye where, helped by every man on the boat, I unloaded my bike onto Turkish soil behind Jules who was left to fend for himself. The border staff scarcely even checked our passports, except to give Jules a big thumbs up for NZ, and me a thumbs down for the UK passport. So a mixed start! We spent a few days in Fethiye sorting ourselves out, cutting all our hair off as it is now getting into the 30’s every day and getting used to the numerous prayer calls. 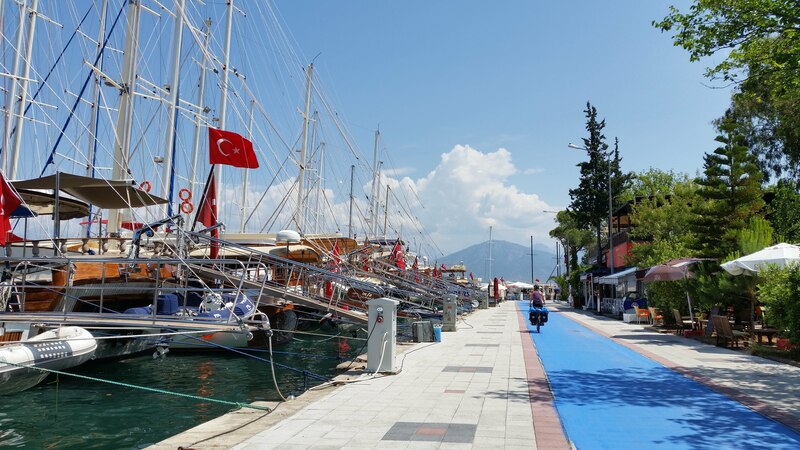 Fethiye is a pretty town, a little touristy (a few expats have long term holiday homes / keep yachts here) but great coffee shops, food and a very relaxed atmosphere that you so often get in towns by the sea. Sad to leave Fethiye, but excited to start Turkey properly, we headed towards the hills, rather than taking the busier coastal route towards Antalya. We made the mistake of leaving around 11am in 30+ degrees and intense humidity, it was not a fun first climb. The roads were quiet and weaved through small villages but the hills were pretty relentless, straight up, down, and up again - similar to Cornish hills if you’ve ever been on those roads in SW England. We learnt to take gradient signs with a pinch of salt and deduced that a 5% incline sign would be at least 10%, a 10% at least 15% in reality and an 8% somewhere between there and 12% - frustrating at first but an amusing game of ‘Guess the %’ at least took our minds off the pain for a bit. On our second day we’d done 20km by lunch and 920m of ascent, a record for the trip so far and both buggered! Knees started playing up too so we stopped to raise both our seats when disaster struck and Jules’ seat clamp bolt snapped. Fine, get the spare out, no problem. The problem was we couldn’t get the old bolt out! It must have twisted in the thread. After an hour of trying all sorts in the rain (why does it always rain in these situations?!) we headed up to the next small village, Jules cycling out of the saddle for 2kms uphill! 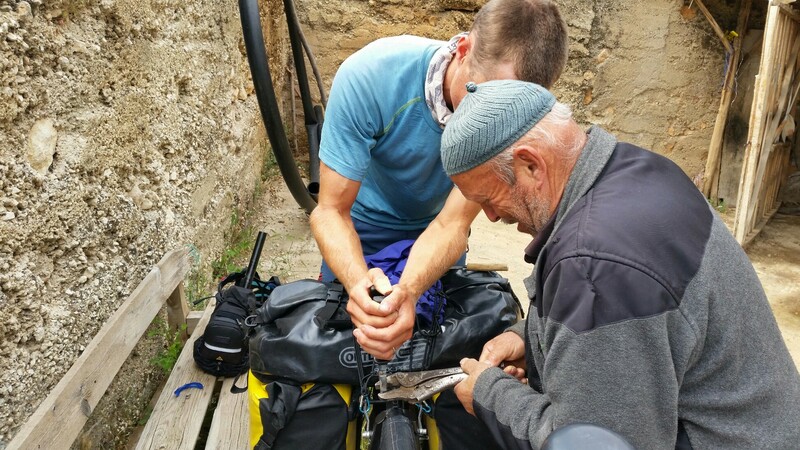 We found the only guy around who got his hacksaw and after a lot of wincing from Jules and a few scratches in the paintwork, managed to get the screw out and us back on the road again. 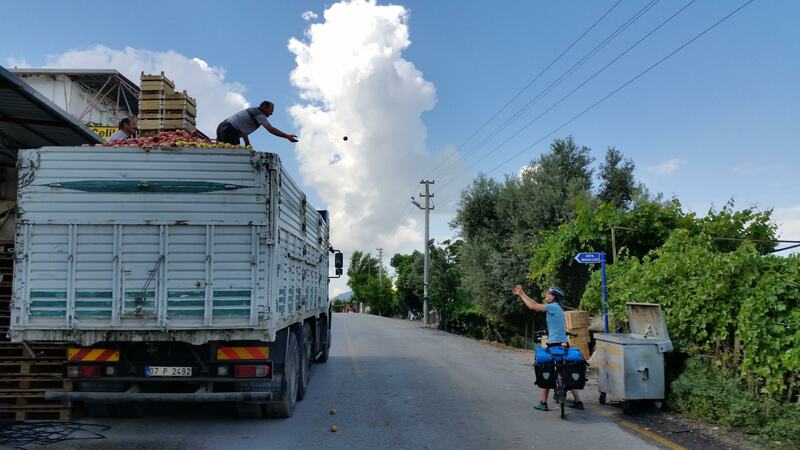 We’d heard lots about the incredible kindness of the Turkish people and the generosity we were shown in our first few days, from being thrown apples from a truck, to being offered free veg at the market or straight from the field, really helped us feel at ease in a country that is culturally so different to Europe in religion, dress and architecture. 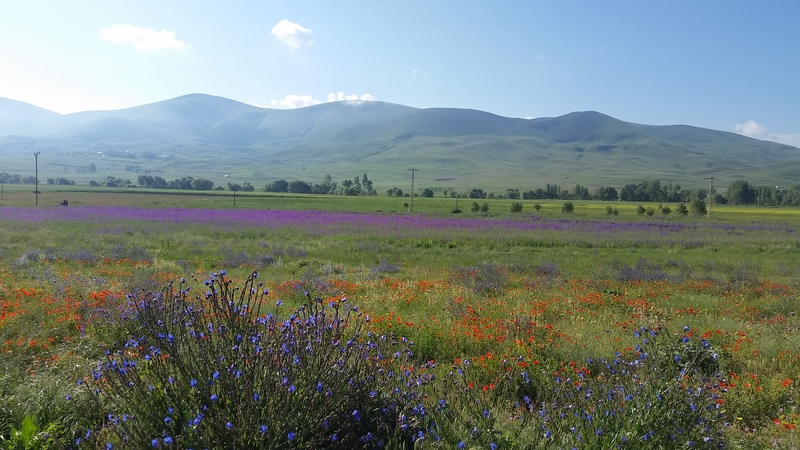 It was also incredible to start our journey through the ‘vegetable basket of Turkey’ during late spring when peppers, cucumbers, tomatoes, chilies, aubergines etc were all in season and incredibly cheap. Half a kilo of cherries cost us 3 Turkish Lira - 50p, if that, sometimes we were beckoned over to a tree to just help ourselves! 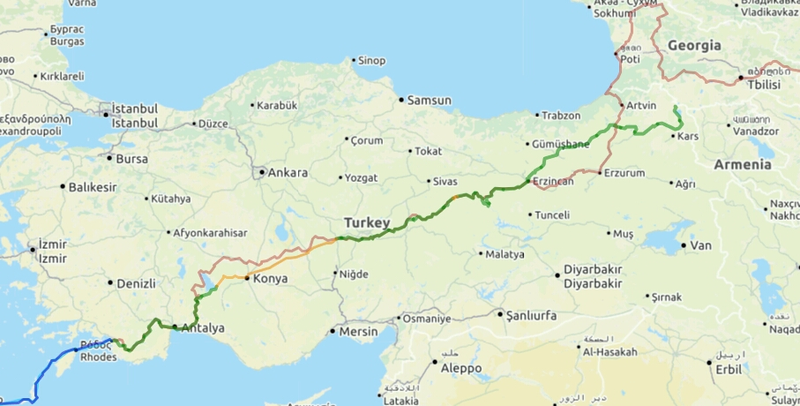 Our planned route to Antalya followed the D635 which we joined just past Özdemir, only to be faced with a road sign telling us Antalya was 165km away, on a road bearing left uphill, when we were pretty sure it was only 90km taking the road straight ahead. 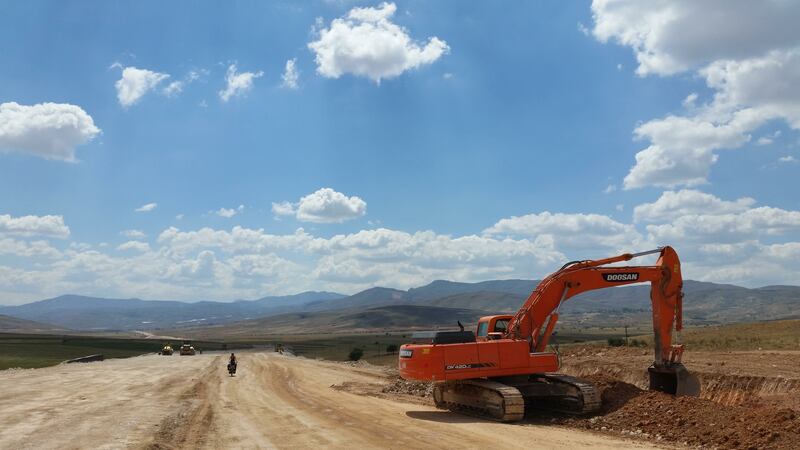 Our first experience of the insane new road network Turkey is building. They are widening the single lane D635 into a dual carriageway. The worksmen let us through, thankfully, but cycling on 8km of sandy gravel with quarry trucks spraying clouds of dust at you every 2 minutes wasn’t great. 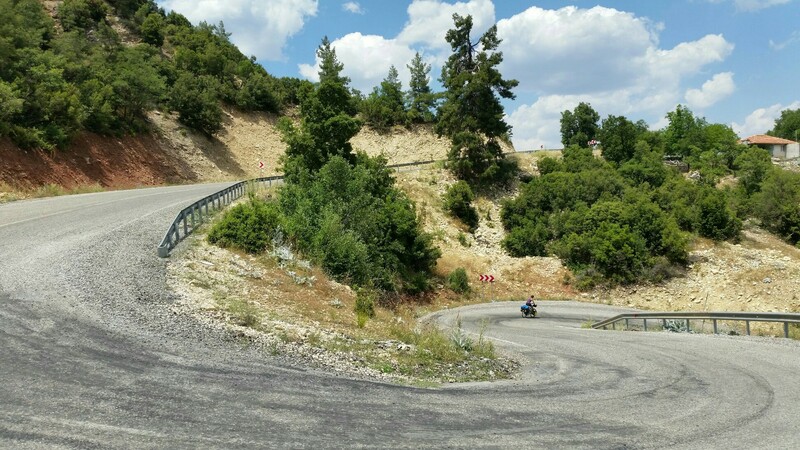 We turned off uphill and rejoined the silky smooth road again just before Korkuteli. Milly feeling rather small amongst all the heavy machinery, although the drivers gave us loads of room and always a friendly toot! The smooth asphalt was not to last however, even though the road up to Güzle looked so promising. Infuriatingly it would be smooth for 500m, then course gravel, then smooth, then gravel again; though the views were worth it! Stopping for a breather at the top we met some local motorcyclists who had toured all through Turkey. 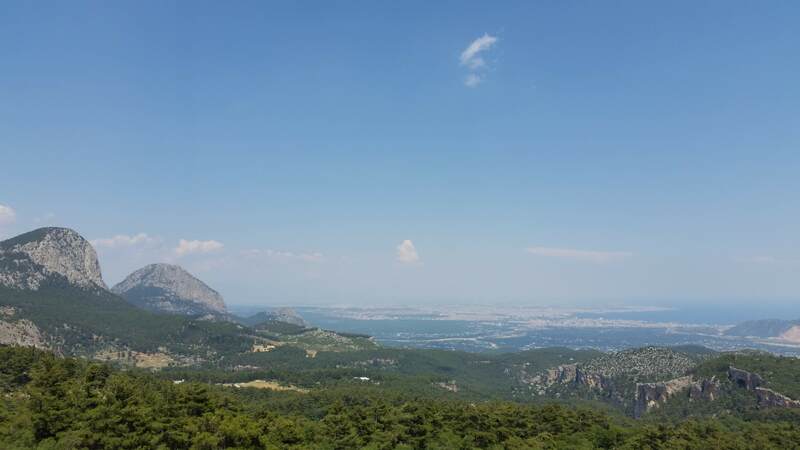 They gave us some great advice on routes to avoid the main roads and see some of Turkey’s best landscapes. Thanks to our motorcycling friends for this shot! Whizzing down the hill to Antalya on the coast was incredible! The mountains rise straight up from the sea making for a spectacular sight and you can see why it’s such a popular place for rock climbing. Starving we stopped in a market and ordered 4 spinach & cheese gozleme (savoury pancakes with filling) - quite a lot of food it turns out, but we managed! 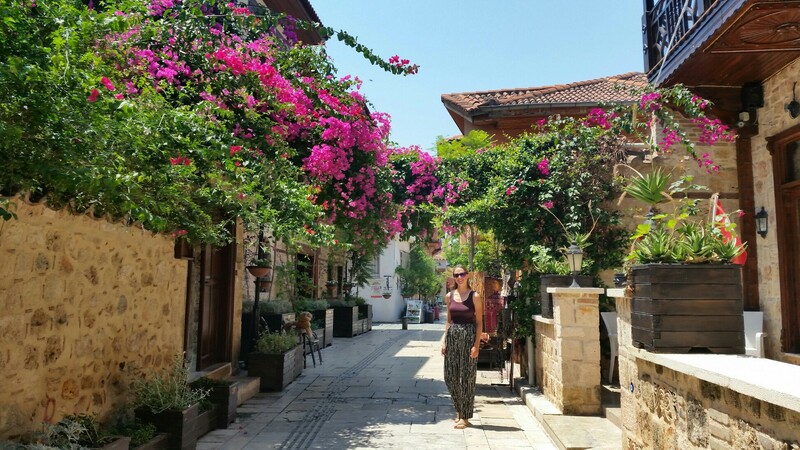 Antalya is a big sprawling city but has a very pretty small old town. We aimed to stay 1 night and ended up staying 3! Rested and well fed with a properly translated ‘magic letter’* explaining who we are and what we are doing, we headed north east again. 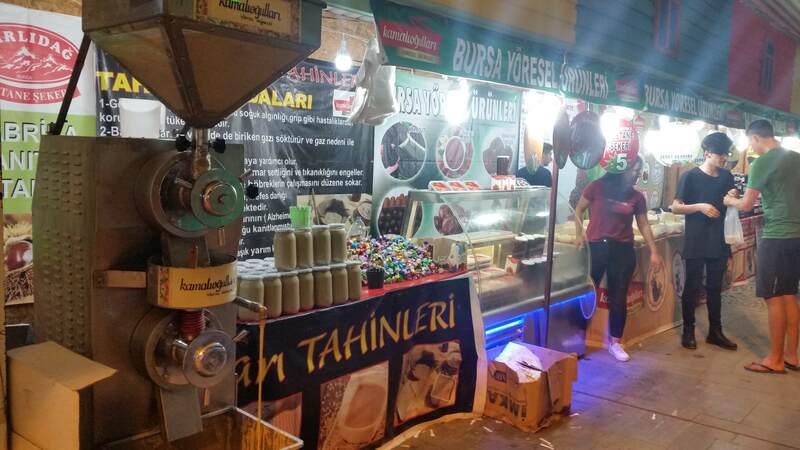 ‘’ *The magic letter proved to be priceless during our next few weeks in Turkey. Many people do not speak English but everybody wants to talk to you, so the letter is a great ice breaker and led to many warm encouters and fond memories.